Ever since he can remember, Animal has gone on all fours, the catastrophic result of what happened on That Night when, thanks to an American chemical company, the Apocalypse visited his slum. Now not quite twenty, he leads a hand-to-mouth existence with his dog Jara and a crazy old nun called Ma Franci, and spends his nights fantasising about Nisha, the daughter of a local musician, and wondering what it must be like to get laid. Compellingly honest, entertaining and entirely without self-pity, Animal's account lights our way into his dark world with flashes of pure joy - from the very first page all the way to the story's explosive ending. ANIMAL'S PEOPLE is a stunningly humane work of storytelling that takes us right to the heart of contemporary India. Animal’s People translates a series of taped recordings of a story told by a nineteen-year old boy named Animal from the Indian city of Khaufpur. Named Animal for the deformed and misshapen spine that causes him to navigate his world using both his arms and legs, he and his city are forever shaped by the chemical disaster they all refer to only as ‘that night’. Animal invites us on his journey of self-discovery and self-reclamation as he recounts the significant incidents and people that come into and change his life during his 19th year. Animal resists playing the victim as he attacks his life with zeal and bravado as he relentlessly pursues Nisha, the object of his affection, defies his rival for her affection by pursuing a friendship with an American doctor his city has sworn to hate and strives to secure his dream of someday walking on two legs. Brutally honest, unexpected funny, starkly unapologetic, and always provocative, Sinha turns a global tragedy on its head as he reveals the personal and even parochial human concerns and joys that co-exist with even the harshest political and economic realities of life. What does Animal mean when he says, “he used to be human once”? What does being human mean to Animal? What does Animal believe it would take for him to “become human” again? Does Animal get his wish? Who is Kha-in-the-Jar and what does he want from Animal? What do Kha-in-the-Jar and the others like him represent for Animal? How are readers to understand and make sense of Kha-in-the-Jar? What is the significance of names in the story? How do the names of individuals and things both suggest and obscure their meaning or value? What is the significance of the book’s title, Animal’s People? As outsiders, both Zafar and Elli attempt to help the people of Khaufpur. Compare and contrast their approaches. What are the cost and benefits of each? To whom did you find yourself most sympathetic? Why? What does Animal mean when he says that time does not exist for the poor? Why must all things be “now o’clock”? Who or what is Kampani? What does Zafar’s dream and Elli’s confessions reveal about Kampani? Animal, Ma Franci, and Zafar conceive of “that night” and its repercussions in unique and specific ways. Detail how each understands and makes sense of the events of “that night” and why the disaster occurred. How do each believe “that night” should be resolved for the people of Khaufpur? To whom do you find yourself in most agreement? Why? What happened during the night of the factory fire? What is the significance of the mysterious woman clad in burka with a broom? What parts did Animal, Ma Franci and others play in that fateful event? What did the fire mean for the community, for Animal? What role will it play for them in the future? To what do Elli, Animal, and Somraji’s discussion of music and its relationship to promises refer? What do the music and promises metaphors tell us? What do they tell Animal? Do these metaphors continue to resonate for Animal at the end of his tale? Why or why not? Animal’s People has been quoted as a book that “one that has its roots in unspeakable tragedy, but manages to stay upbeat, darkly funny and utterly devoid of self-pity.” Do you agree with this statement? Discuss some of the key elements of the story that valid/invalidate this claim. Why do you believe the author has crafted such a website? Has the website altered your understanding or appreciation of the novel? If yes, how so? If no, why not? What questions would you pose to Animal? How do you believe he would respond to them? 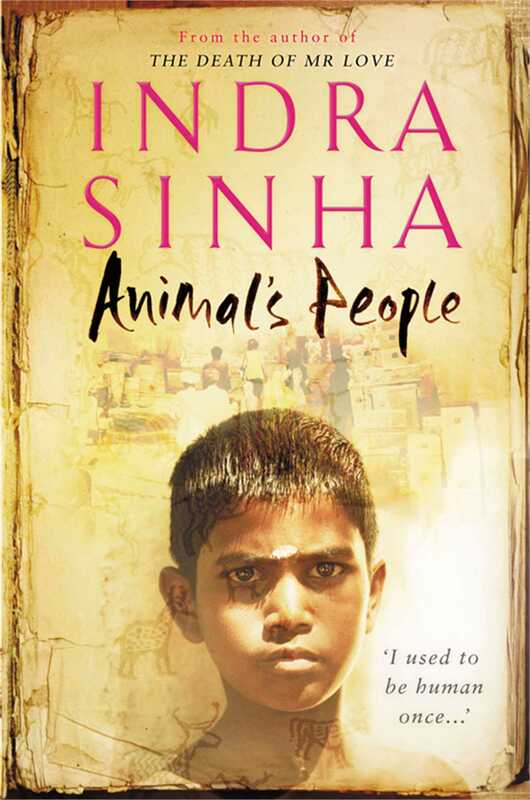 Book club leaders can visit http://www.indrasinha.com/sunil-bhai.html to access Indra Sinha’s tribute to Sunil Kumar, his inspiration for the character of Animal. a. What are the parallels that exist between Sunil and Animal’s story? b. Does Sunil’s end impact your appreciation of Sinha’s telling of the story? The tribute sheet has a donation form attached. Encourage book club members to collect and bring donations to the meeting and complete one donation form in the name of the book club and send in all donations in the name of the book club. Indra Sinha was born in India. 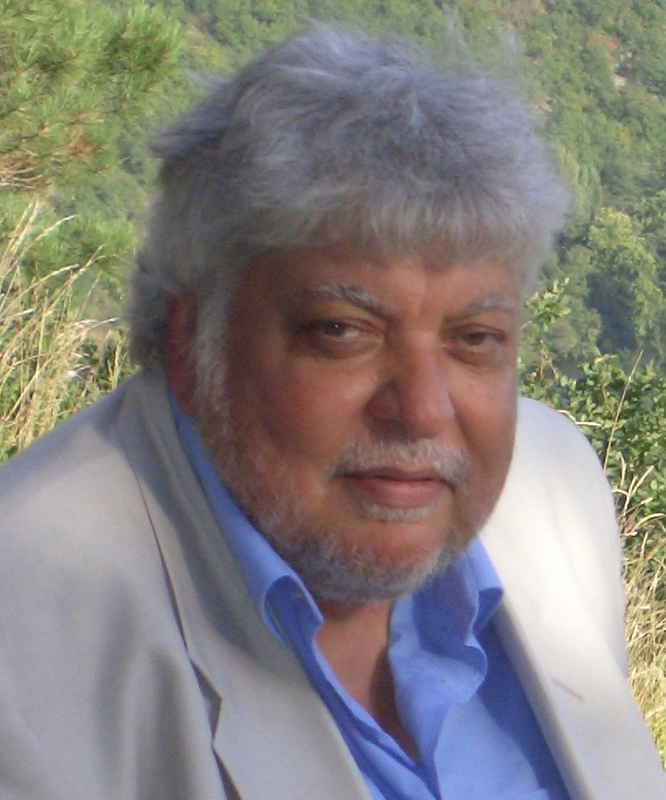 His work of non-fiction, The Cybergypsies, and his first novel, The Death of Mr Love, met with widespread critical acclaim. He lives in France.